Buonamici produces this delicious sauce starting with fresh, carefully selected Italian tomatoes as well as fragrant basil, also rigorously fresh. 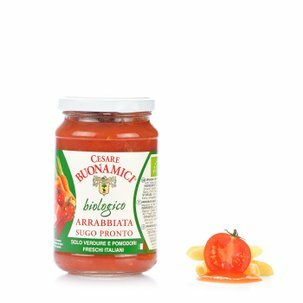 Simple yet delicious, this Tomato and Basil Sauce is an ideal product to always have in your kitchen for adding the flavour of high quality to your dishes. Ingredients tomato juice and pulp 99.3%, basil 0.2%, sea salt. For more information on product labels, please contact our Customer Service department. The information on the labels of the products may vary for reasons beyond our control, therefore, there may be discrepancies between the information on the site and that on the products delivered. Please always check the information on the product before consumption or use. The Buonamici agricultural company was established at Fiesole, in the beautiful hills around Florence, and has always been committed to producing exquisite extra-virgin olive oil, as well as top-quality products made using fresh Italian tomatoes and seasonal vegetables, prepared according to traditional recipes. The Buonamici olive press uses modern cold extraction technology in order to limit the impact of oxidation. 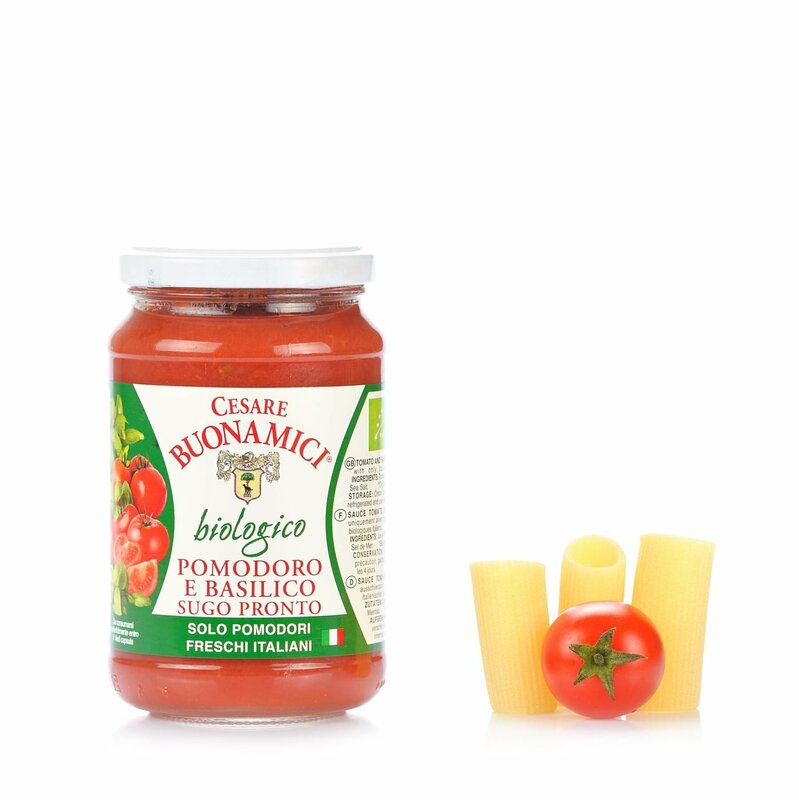 This has allowed the company to attain various marks of recognition, as well as organic certification. A range of cosmetic products created using Tuscan extra-virgin oil - to nourish and protect the skin naturally - has expanded the selection of goods on offer.